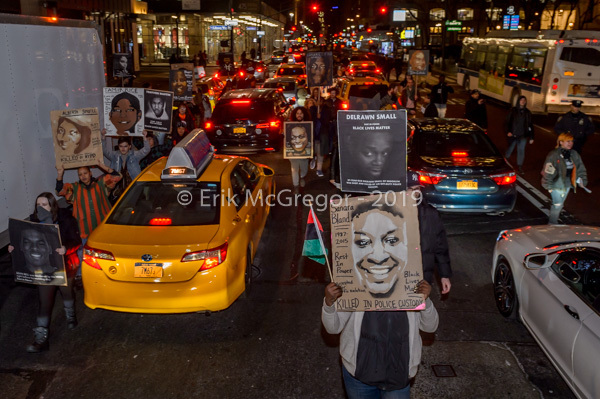 Erik McGregor is a New York City based artist, photographer and activist. 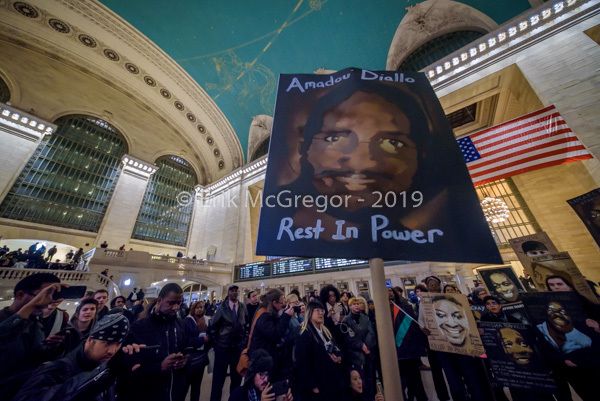 New York, NY – Members of the activist group NYC Shut It Down gathered at Grand Central and took the streets marching to Times Square on February 4, 2019, to remember the 20 year anniversary of the murder of Amadou Diallo in the Bronx, shot 41 times by the NYPD. 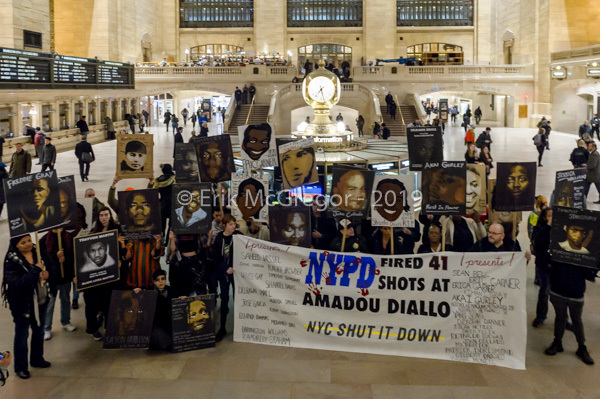 During the march, the group also displayed portraits of other victims of police brutality. 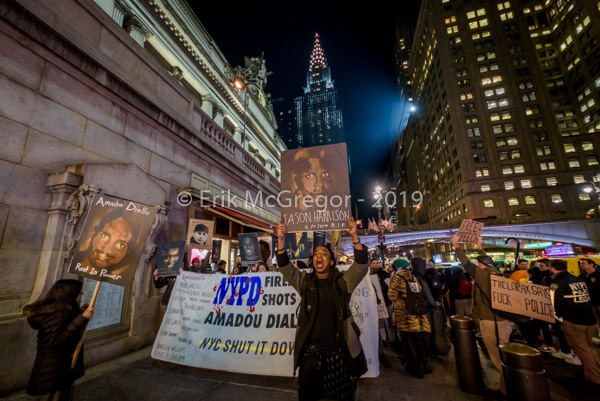 Sympathizers joined NYC Shut It Down on the 4-year-anniversary of #PeoplesMonday, a weekly demonstration honoring Black and Brown victims of police violence and bringing their stories to the public. 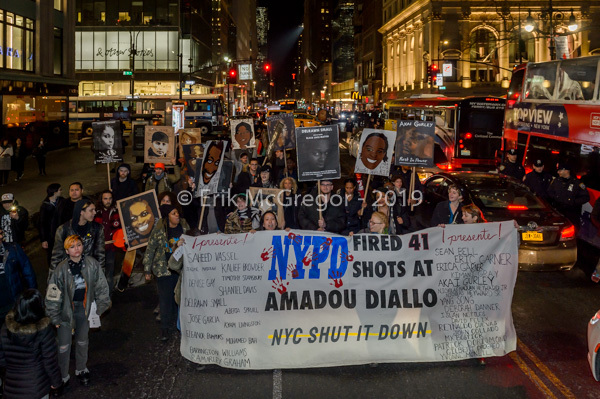 This Monday, February 4, 2019 marks the 20-year-anniversary of the murder of Amadou Diallo, an unarmed man living in the Bronx who was shot at 41 times by the NYPD. The four officers who killed him were indicted for second-degree murder and reckless endangerment, but acquitted of all charges by a jury in Albany. This Monday we remember Amadou and uplift his story. 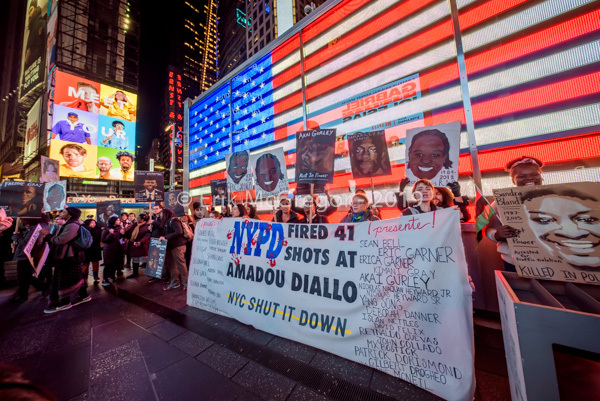 And we remember the hundreds of people the NYPD has murdered since, whose families have never gotten justice. Every Monday we bring out a portrait of the person we’re marching for. This means we have a couple hundred portraits. 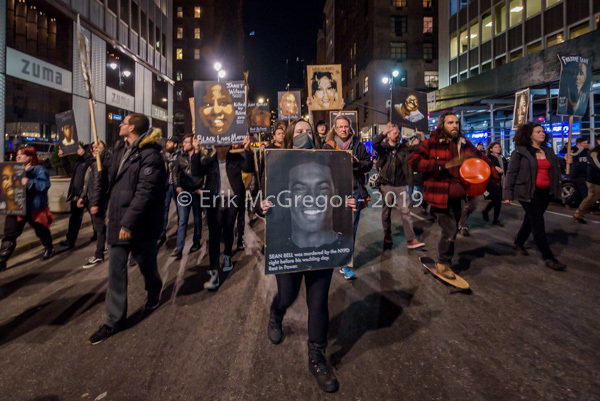 The more of us who show up Monday, the more portraits we can march with, the more faces we can put to the systemic police violence that destroys lives and communities. If 50 of us show up, that’s as many portraits as we can lift up. Let’s lift up more! Share this widely, bring your friends, and let’s show up Monday for all the lives stolen by the racist police.